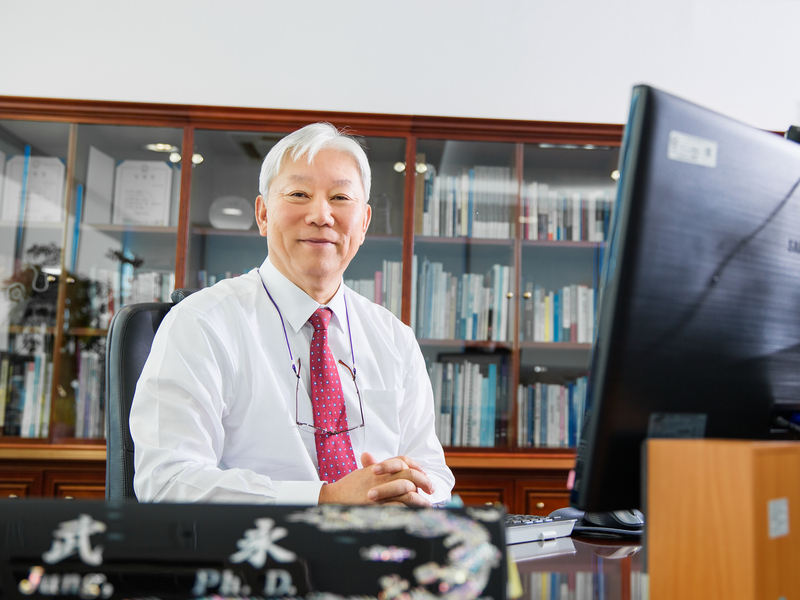 New President Dr. Mooyoung Jung sits in his office on his first day of work at UNIST, September 28th, 2015. 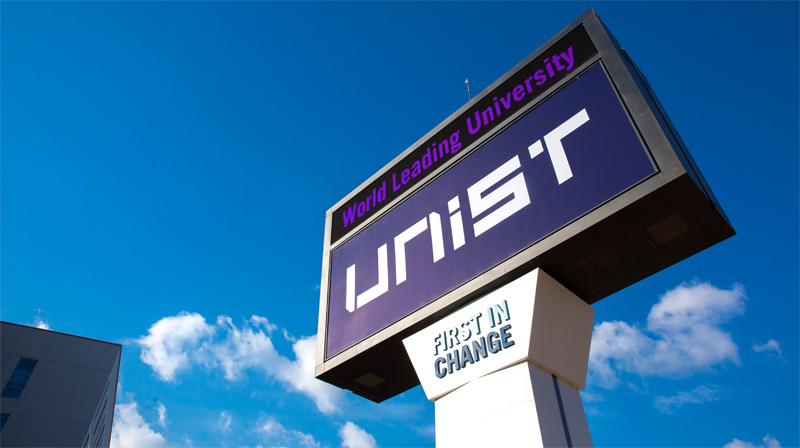 UNIST will hold a presidential inauguration ceremony on Monday, October 12, marking the beginning of the administration of Dr. Mooyoung Jung, UNIST’s third president. The ceremony, at 11 a.m. in the auditorium of Main Administration building, will be open to the UNIST students, faculty and staff, invited guests, and the media only. 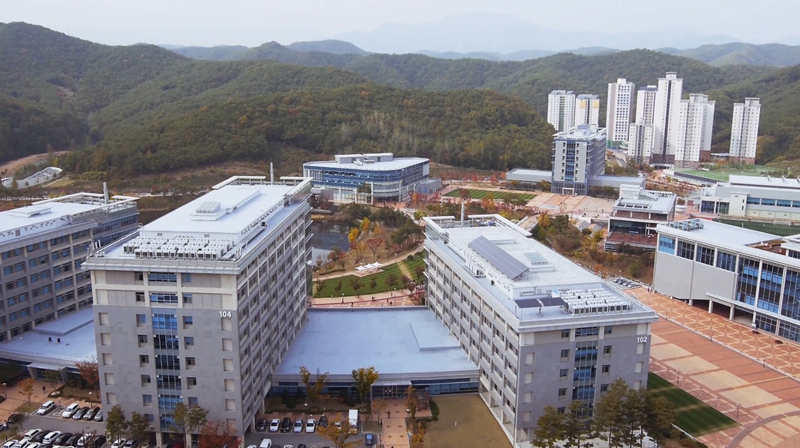 The week’s schedule also includes several events on campus, including a commemorative tree-planting ceremony, as well as congratulatory remarks by Minister of of Science, ICT and Future Planning, government officials, and other committee members. 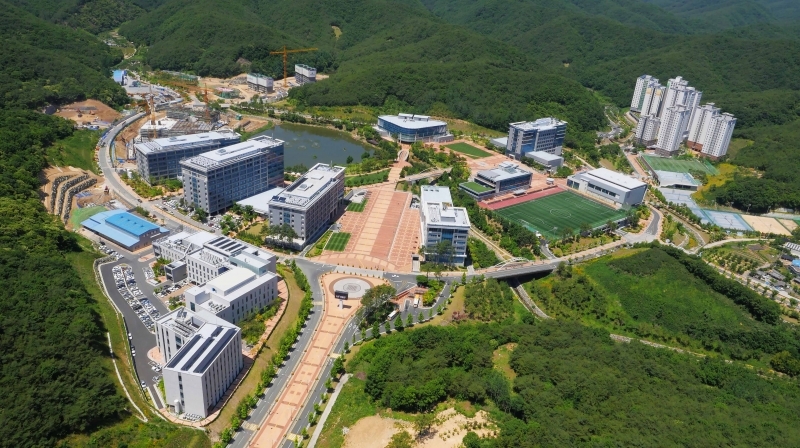 Dr. Jung takes over the position from Dr. Moo Je Cho, who served as the 1st and 2nd President of UNIST from September 2007 until the end of August 2015. He has started his term as of Monday, September 28th, 2015 and will remain in his position until the end of September 2019. 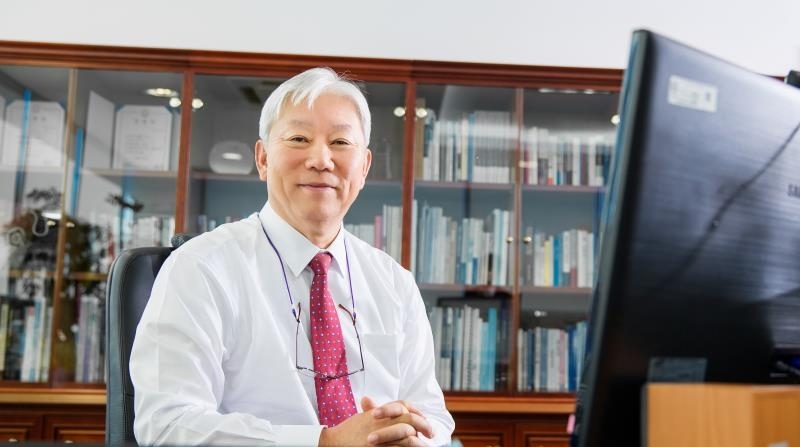 2001 – 2008 CEO, BioPlus Co., Ltd.